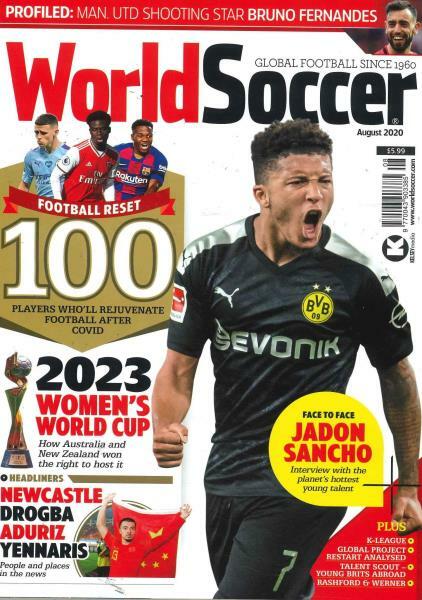 World Soccer magazine prides itself on delivering unrivalled soccer coverage, and as such calls upon its first-class network of journalists to report on the games that matter from around the globe. Providing in-depth expert analysis of matches, touching on team strategy and management, World Soccer will give you all the ammunition you need to fight your corner down the pub! Features examine which country has the best league, up and coming talent and name the Player, Manager and Coach of the Year. In addition, if you’re one who likes to speculate on likely transfers and get an insight into what goes on behind closed doors at some of the world’s biggest clubs, a World Soccer magazine subscription is not to be missed! As the best-selling monthly magazine of its kind and hailed by Reuters as “the bible of international football”, don’t drop the ball, invest in a World Soccer subscription today! Like the fact it’s global and world soccer news.